Welcome to this little guide I'm making in order to answer some of the usual question relating endgame pve contents using assassin class. Please feel free to leave any feedback and comment. Questions are also welcomed and I will try to answer them as soon as I can. For PvE the main thing is survival, there's no good if you can deal superduperultrahigh damage but can't even survive 1 single attack from enemy. 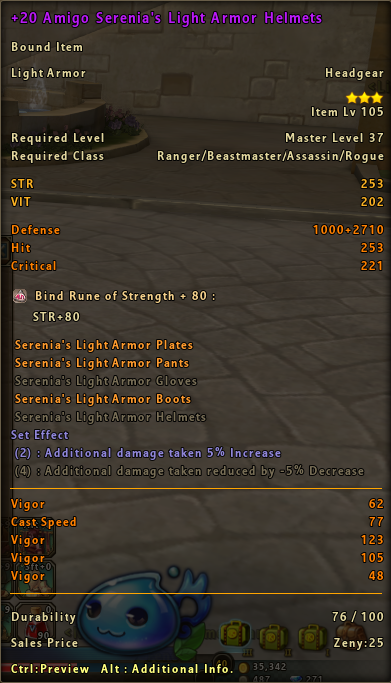 so the bonus stat is focused on VIT only. since other offensive stats can be obtained by using titles, runes, etc. 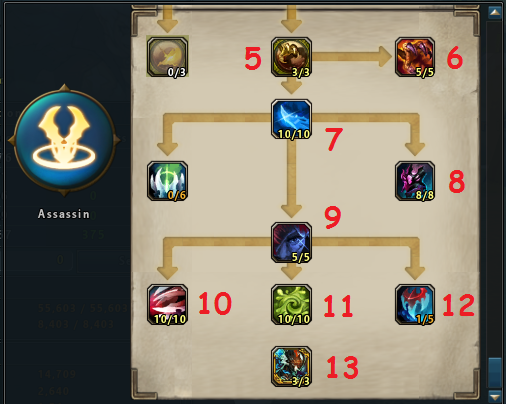 other factor, assassin playstyle is using combo skills not just single high damage. therefore you have to embrace the pain from enemy attacks. 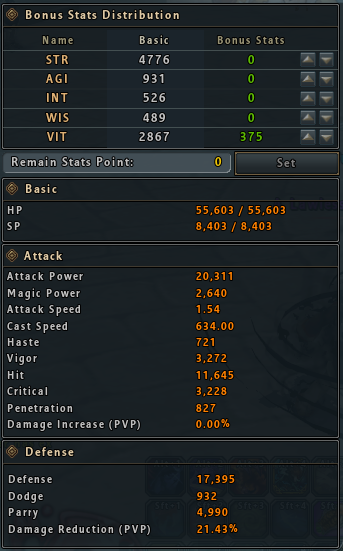 by the definition main stats is, what are the stats that makes an assassin a nice dps? vigor is used to decrease the cooldown of all skills except item/guild skill use. try to max the number by 2700 or at least 65% cooldown reduction (without any other buff, example : pump hard pills, statue buffs, etc) so you can use the combo skills indefinitely. same as what i write above, high hp will decrease death chance, even if assassins don't generate defense from vit at least it'll be worth it if you can handle the first strike of any mobs, the rest will be helped by skills, such as stuns/heals/armors. higher STR means higher attack power, higher attack power results other monster death. why i put this third? since most of the stats is used to max vigor and VIT, STR becomes the third stats you have to worry, if you don't have any heals or the cooldown is still low it means you will have to tank more attacks from the monster, the longer you stall the higher death chance will occur. so if possible try to get as many STR/attack power as much as possible after you maxed the stats above. and other benefit from STR are, you will got more accuracy so less miss when hitting mobs, and parries to reduce damage taken by 50%. these stats won't help much in a battle, since assassins AGI only generate 1 Dodge 2 Criticals 1 Accuracy per 1 AGI. so just max your Critical number around 3000. 3000 critical number equals 30% chance to critical hit besides you have most of the critical buff on the game. basically you will have 15% critical chance only with buffs. this stats really will put more number in you final damage. 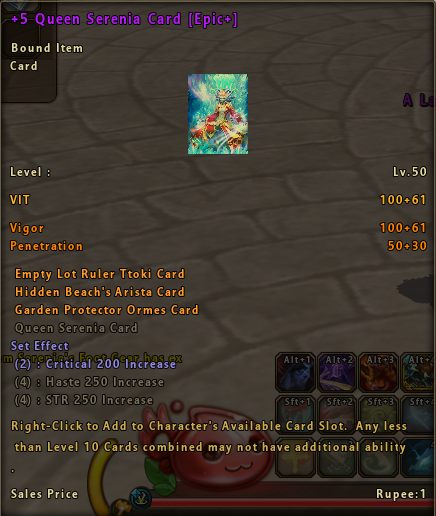 sadly i don't really know how to calculate the penetration points, what affects it, but more penetration means more final damage numbers, and this stat can only be obtained from skills/titles/epic cards. i will explain the skill based on the number. benefits : normal movement speed while hide good to position yourself at the right spot before hitting any mobs, especially if you want to hit boss you can dodge the boss aoe skills before hitting the boss. benefits : buffs you and your entire party/raid with 10% critical chance, good when you doesn't have high enough critical chance. 30% without buff is the standard for assassin then with this buff you will have 40% critical chance. benefits : High single target damage, generates 1 combo point. this is some kind of the ultimate attack from any thief class. and it will be used as the first combo for assassin's attack. benefits : to get first hit on any mobs if you have to farm something, other than that you can use this skill to kite or lure 1 mob away from its pack, example the 3 jawaii cats, use dagger throwing on one of them then quickly step away from the other mobs till it disappears, so you can kill the pack 1 by 1. Note : i don't really know how to calculate the damage from the skill explanation in game, but by experience it have around 50% extra damage from the final damage. 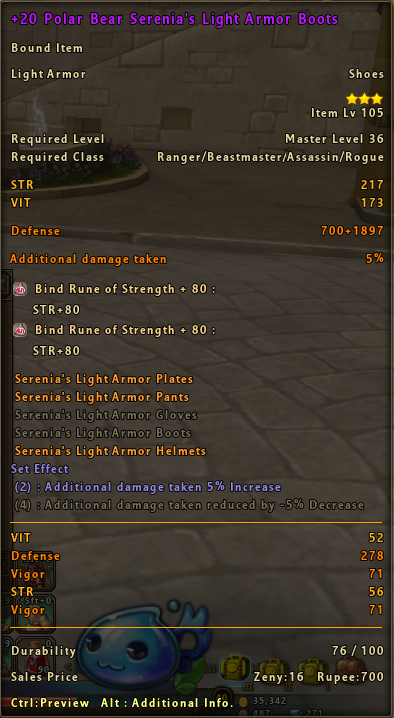 benefits : Heals, Slow, multitarget, instant max combo point refill (against 5 or more mobs), and it have high damage also. 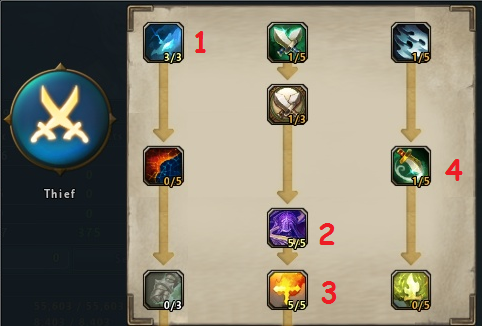 from my experience, this skill can be used to farm or dealing with high quantity of mobs provided you have dot/slow pets. benefits : 100% damage reduction (invincibility) for 5 seconds, also increasing your defense rate by 50%. for me 50% extra defense rate means nothing since defense rate kinda capped at 75%, more defense rate over than 75% affects a little in reducing enemy attacks especially endgame mobs. if you doesn't have all +20 armor this skill is a must. benefits : 30% attack power and movement speed buffs. this is the most easiest way to increase your attack power if you lacking in it. benefits : the second combo attack, it have moderate damage and can give x2 damage buff on the final combo attack. benefits : the final combo attack, have high damage and can be further high if got mark of shadow buff. a shadow explosion skill buffed with mark of shadow will get x2 base damage and will still have x2 critical damage also by any chance shadow fiend is out you will have x4.5 final damage in total. benefits : extra attack power, extra movement speed, and finally extra penetration rate, also resets your hp when you are injured or critically low health. Note : pick 1 mobs from the pack that have highest damage/dot damage to stun. to be able to withstand a normal mobs or bosses attacks a mere high hp is not enough a normal damage from normal mobs in jawaii is around 10-15k per hit, some mobs even have higher first hit damage around 20-30k in the first/second strike so you will erally have to increase defense rate however it is up to 75% minimum, other than that you can use the greenseed rune for armors minimum 5% damage reduce from the seedrune. otherwise you can use 4 set serenia armors to get bonus 5% damage reduce, combined with the greenseed rune at minimum 5%, then you will have 10% damage reduce from all attacks. 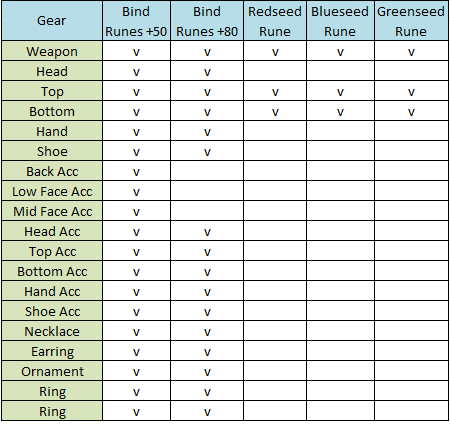 there are plenty of ways to power up using the gear you use, honing, seedrunes, and refinements. since i said it before try to max VIT and vigor as much as possible while there is only 2 gears from sere that gives vigor boost. well in every games all late game weapon is the ultimate choice so use serenia weapons, since it have more base stats beside edga and also the same rune amount with edga. as you can see my runes, all slot was fitted with Bind rune of Strength + 80 that is the only power source i get, but hey there are more slots to get more STR via costume. if you really want to use the wonderland boss set i wish you best luck to farm them. That's a great build ! Thanks a lot ! very nice build. just what I have been looking for. thanks man! i think ur the one that boost us in the FP last 2 weeks ago. got 3.2k vigor... i think u can defeat eddga in 1 v 1. Vigorous 3.2k got tha juice on 1 v 1.
with the valorous Carnage Katar, Glorious Bloody roar. Edited by Kirx, 19 June 2017 - 07:23 PM.